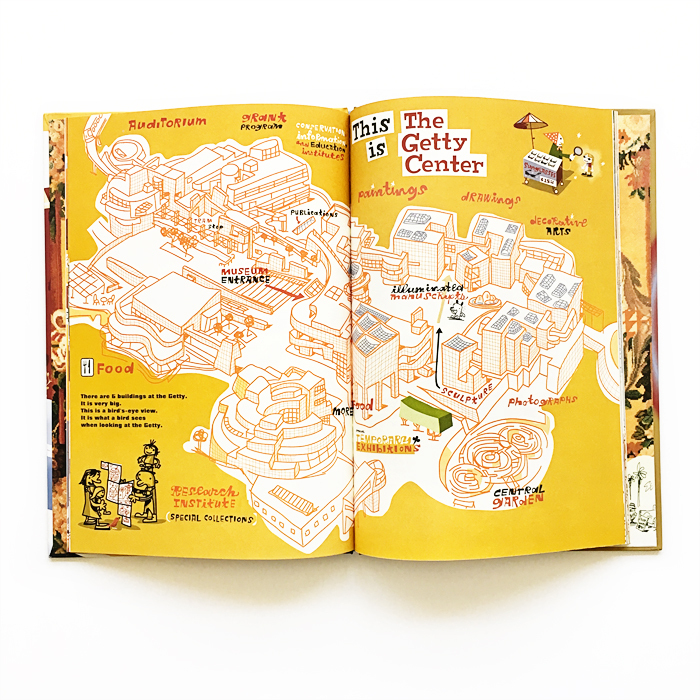 If you’re headed to LA at all this summer or in the near future, you probably have the Getty on your list of landmarks to visit. We’ve been a few times over the years and it is truly another world. Practically the size of a small village, it’s clad in gleaming off-white travertine (16,000 tons of it from Italy) and it houses a diverse and inspiring art collection. 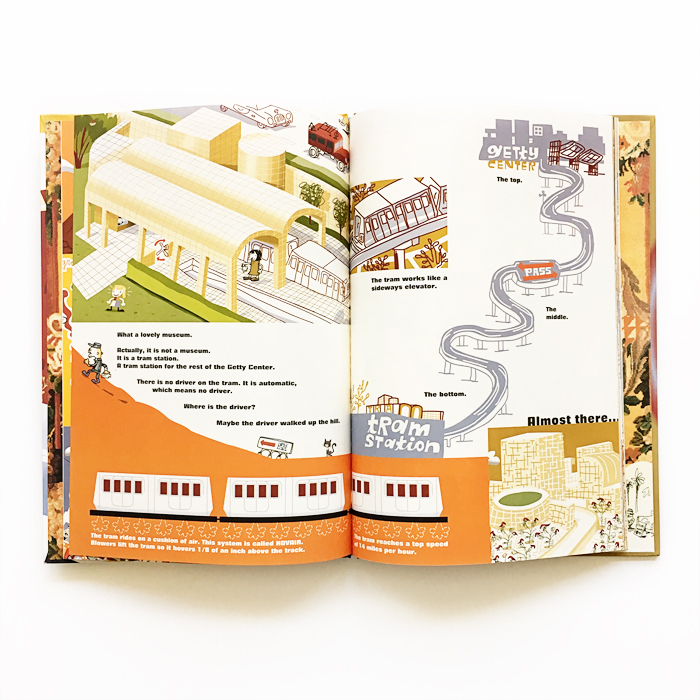 Its airy open spaces, beautiful natural light, spectacular views and verdant gardens each make their own grand impression on you but what kids love most is probably the tram ride to and from the center. 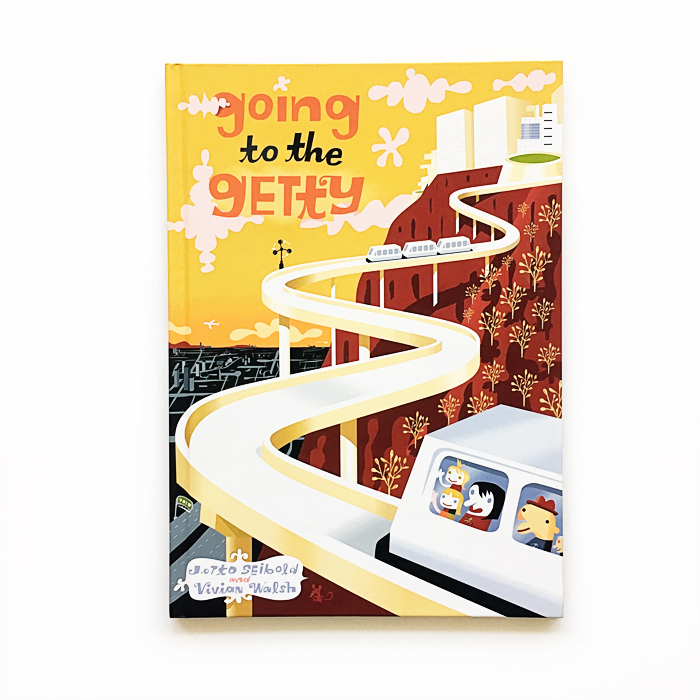 Going to the Getty is a quirky and informative guide with detailed history, architectural insights and points of interest for families visiting the center, written and illustrated with considerable wit and humor by one of my favorite author-illustrator teams in the history of kidlit, Vivian Walsh and J.Otto Seibold. 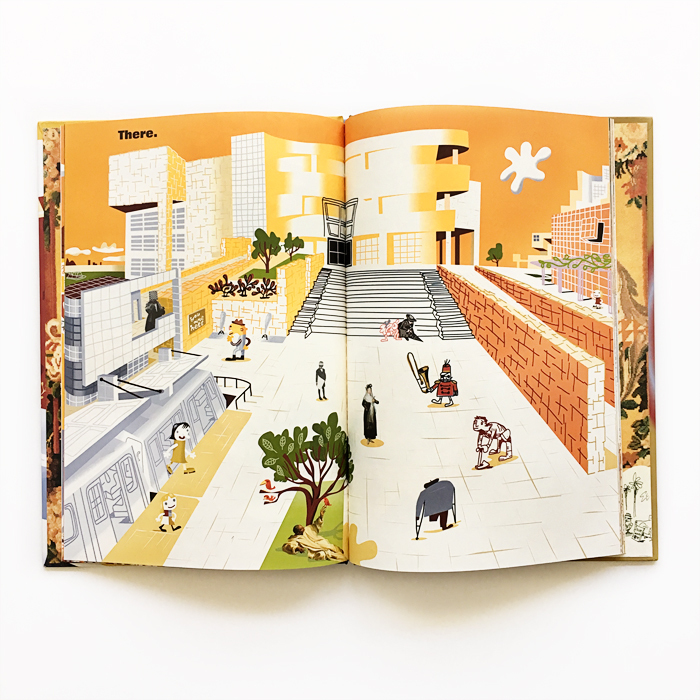 Going to the Getty was published by J. Paul Getty Museum in 1997.